Up to now in the UCLA parking facility where the photo above was taken, yours truly has seen only campus “golf cart” type electric vehicles used by service staff plugged in. Now that hybrid electric and all-electric vehicles are being sold for regular street use, scenes like the one above will become more common. (The car shown is a Honda model.) However, most parking spots do not have nearby electrical outlets. 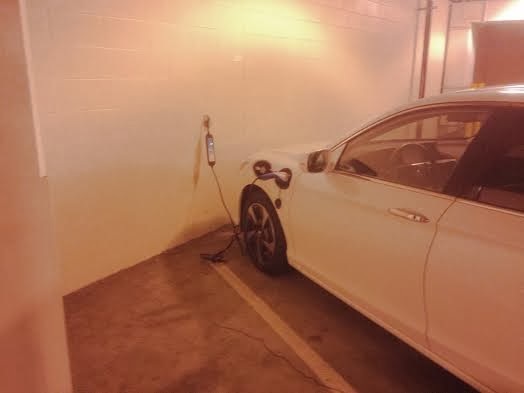 Presumably, UCLA is ok with such charging where a nearby outlet exists. But will there be more of them installed?